This is what your hard work will look like! 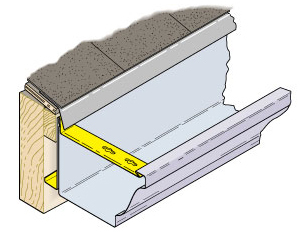 Why Use Truss Inc T-Wedge gutter supports? Made with the finest quality design and materials, all Truss Products have a lifetime transferable warranty. We stand behind our products with the best warranty there is – life. Specializing in gutter industry products, Truss continues to make innovative products that make your gutter systems work beautifully. 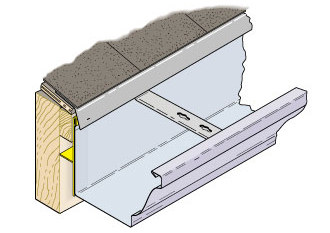 The T-Wedge was designed specifically for sloping fascia boards. We don’t always have the straightest of fascia boards to work from, the T-Wedge lifts the gutter to create a even, flush mount. 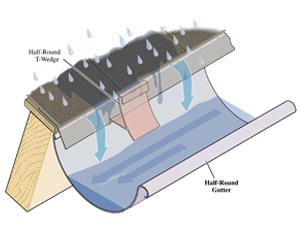 Keeping the gutter flush creates a properly working system, adds life to your gutters, reduces pull-aways and no sagging. And now only Truss has a gutter hanger that will address 1×2 trim mold applications. 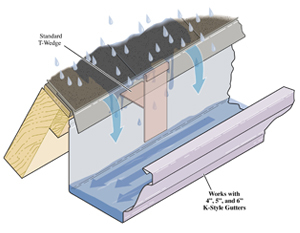 With ease you can now support your gutters due to a slant or 1×2 trim or molding, Truss T-Wedge Gutter Wedges, eliminate the sag to create a beautiful house.